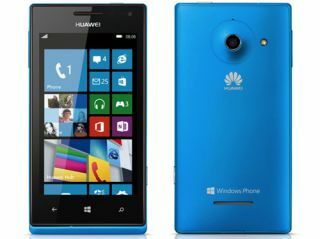 Huawei Ascend W1 entry-level Windows Phone 8 launches in UK on O2 | What Hi-Fi? Huawei has launched the Ascend W1 at MWC in Barcelona, the company's entry-level Windows Phone 8 device. Set to launch on March 7th, the handset will be an O2 exclusive in the UK and has a knockdown price of just £120 on prepay or £13.50/month on contract. Chinese company Huawei is the largest telecommunications equipment manufacturer in the world, having overtaken Sony Ericsson in 2012. This year looks set to be the year when the company makes a bigger push in to the UK, after the launch of the Huawei Ascend P1 Android smartphone last year, a 4G LTE phone that is compatible with the EE 4GEE network. Now, Huawei is focusing on Windows Phone and the entry-level end of the market with the W1, which settles for 3G/HSDPA network connectivity. The Ascend W1 has a 4in IPS LCD, Gorilla Glass screen with an 800 x 480 resolution. There's a 1.2GHz dual-core Qualcomm processor and a 1950mAh battery. There's a 5MP camera with LED flash, as well as a front-facing camera, and a fairly measly 4GB memory, though the microSD card slot allows for expansion. Elsewhere, there's Bluetooh 2.0, NFC and a standard microUSB slot connection, all inside a chassis that's just 10.5mm slim. Available in 'electric blue' and 'electric pink', the Huawei Ascend W1 is due on sale on March 7th.